Samsung has announced a new blazing fast microSD card with a massive 128GB capacity, costing buyers an equally large $199.99. 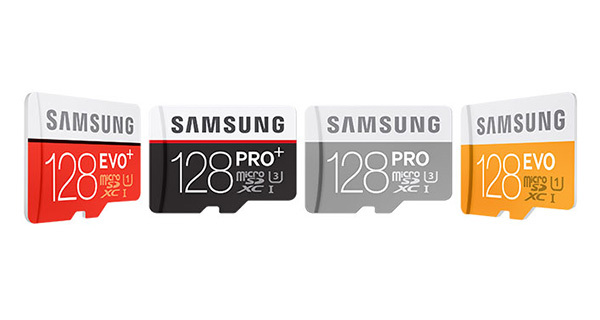 The new 128GB PRO Plus memory card joins the existing 128GB EVO Plus card that is already available to those in need of more storage space than we ever thought would be needed in a smartphone, with the new offering deserving of that pro designation thanks to its massively increased data write speeds. While the EVO Plus cards can read and write at 80MB/s and 20MB/s respectively, the PRO Plus cards up that to a speedy 95MB/s and 90MB/s. That hugely increased write speed may not initially seem like that big of a deal in a microSD card given their usual home will be in smartphones and high-end cameras, but those two situations are actually exactly where increased writing speeds can come in handy. Photographers, in particular, when taking lots of burst photos, for example, will benefit from those fast write speeds. Of course, the interesting point to make here is that Samsung’s own high-end smartphones of 2015 can’t actually take advantage of these cards due to the simple fact that they don’t have microSD card slots in them these days. That decision was controversial when the Galaxy S6 and its variants were announced. 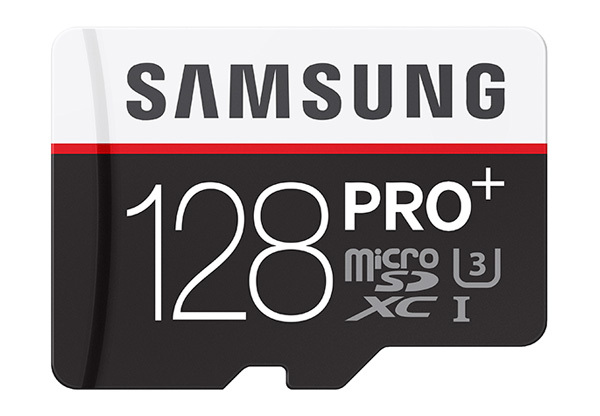 While this speedy new 128GB microSD card from Samsung is impressive, it is by no means the largest around. SanDisk, well known for their storage solutions, already have a 200GB microSD card on the market for those that really do need that kind of massive storage on the go and that too at just $99, it gives you double the storage for half the price, though the new 128GB offering from Samsung makes up for that by surpassing said card when it comes to both read and write speeds. With 4K video recorded left and right these days, who are we to say that 200GB is too much? You can also get Samsung’s EVO Plus 128GB microSD from Amazon for $62.61 (original price: $103) today. And as mentioned above, it offers read speed of up to 80MB/s. The newer PRO Plus card however will offer read speed of up to 95MB/s. Surprised Samsung hasn’t one upped SanDisk yet by releasing a 200GB card. My old SanDisk 128GB card never gave me any problems but for some reason my 200GB card keeps getting disconnected on my Surface Pro 3 for some unknown reason… I hope whatever the case may be, Samsung’s perform better in that regard.